* Red carpet glamour describes this magnificent crystal evening bag with one side of glistening bezel set round crystals. 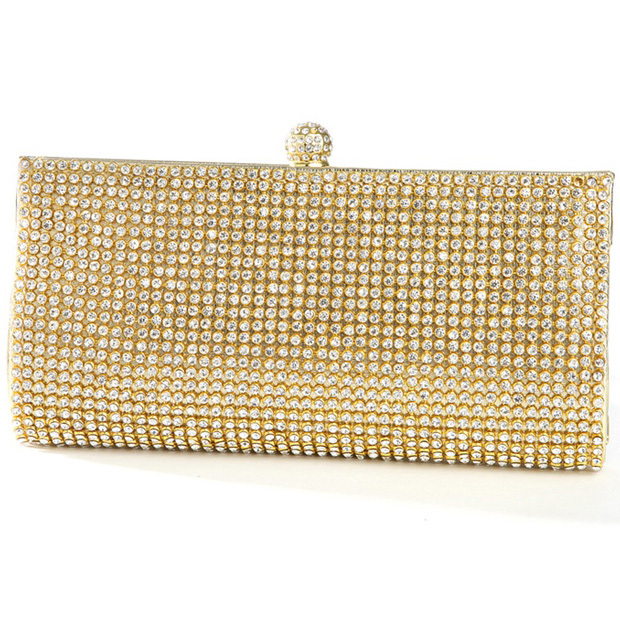 * This sparkling evening bag is made of a single cut of textured gold faux leather seamlessly wrapped around a sleek gold frame. * This 9" w x 4" h wedding purse is topped with a regal jeweled clasp. * Mariell's special occasion handbag has two detachable gold chains in wrist and shoulder lengths. * Our lavish purse is a must-have addition to your evening bag collection!